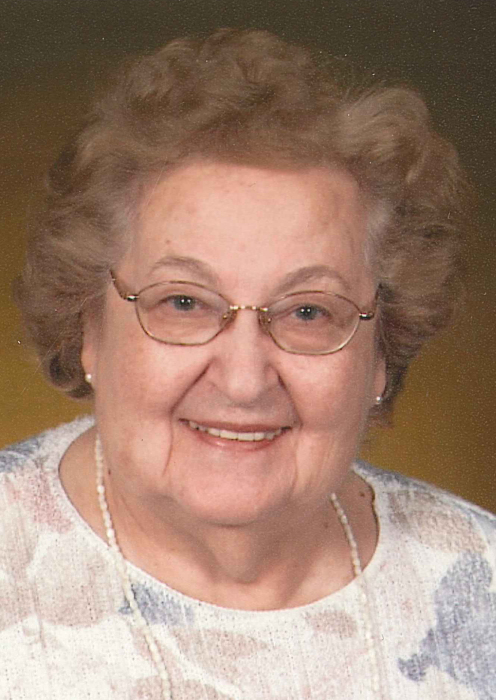 Obituary for Nathene M. (Farnsworth) Squires | Hartzler-Gutermuth-Inman Funeral Home Inc.
Nathene M. (Farnsworth) Squires, 91, of Elkhart, died at Hubbard Hill Estates on Wednesday, November 28, 2018. She was born on October 1, 1927 in Cassopolis, MI to the late Nathan W. and Wilma (Yost) Farnsworth. Nathene was a member of the Class of 1945 of Elkhart High School and attended Northwestern University. She married Gordon L. Squires at First Presbyterian Church, Elkhart on June 29, 1947. They were married for nearly 65 years when he died in 2012. She was preceded in death by a brother LeMoyne (Margaret) Farnsworth and a sister Gloria (Walter) A. Weltz. Nathene was a private flute teacher for 50 years and played in local symphony and municipal bands in every community she lived in including; Northwestern University symphonic band, Elkhart municipal band (18 years), Elkhart symphony and Michigan City symphonic and municipal band (4 years). She worked at Whitehall Laboratories for 12 years. She was a member of Mary Susanna Circle of Trinity United Methodist Church, Married Women’s Club (YWCA), Auxiliary member of DAV #19 and Zeta Tau Alpha Sorority. Her special pleasures were traveling the world with her husband and enjoying time with family and friends. She is survived by son Stephen L. (Jean) Squires, LaPorte, IN, daughter Maureen Squires (Bob) Capshew, Georgetown, IN, grandchildren Brady A. Squires, Michigan, Valerie (Zachary)Gallik, LaPorte, Claire R. Capshew, Latrobe, PA, Benjamin R. Capshew (Melissa Grant), Seattle, WA, Meg R. Capshew, Sheffield, England and great grandchildren, Deakin and Cyrus Gallik. Service will be held at Hubbard Hill Estates Chapel at 28070 CR 24, Elkhart on Monday, December 3, 2018 at 11:00 AM. Visitation will start one hour prior. Burial will be at Rice Cemetery. The family suggests memorials to: Disabled American Veterans Post 19, 1205 Middleton Run Rd., Elkhart, IN 46516 or Trinity United Methodist Church, 2715 E. Jackson Blvd, Elkhart, IN 46516.